Welcome, my name is Rechon Blanding and I am a Integrative and Functional Nutritionist who seeks to help women to regain their health, strengthen the immune system, prevent lifestyle diseases and improve chronic conditions by balancing out the gut and digestive system though whole foods and healthy lifestyle changes. I help women who are suffering with digestive distress and also those who are experiencing widespread symptoms throughout the body that they had no clue were connected to an unbalanced digestive system. As women, we are natural nurturers and as we find healing and regain health we desire to see our loved ones experience health and wellness also. That is why I provide resources to help you to share a healthy lifestyle, recipes, and workshops with your family that will encourage and inspire. Integrative & Functional Nutrition is All About You! 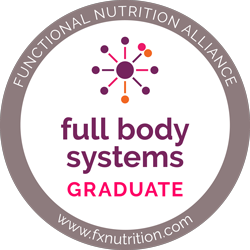 Functional Nutrition is all about helping you to get to the root cause of your current conditions, listening to your story and implementing healthy practices with delicious healing whole foods that will meet your individual needs. By integrating lifestyle changes a step at a time, together we will create a unique nutrition and lifestyle plan to begin your healing journey. Food should be enjoyable as well as healthy, simple to prepare and good for our body. The food that we eat has the potential to help our body to heal, regain and maintain health and strength. Generally we all need the same nutrients, but as individuals with unique make ups there are specific bio-individuals needs that are special to each person. By choosing foods that meet our individuality we can unlock the healing benefits of the whole delicious foods that are available to us.